There are many ways to properly size up your SUP paddle length, and today we are going to teach you about all of them. At the end of the day, there are multiple ways that someone can adjust their paddle for SUP, there’s no right or wrong. Yes, that’s right, there’s no right or wrong here! Everyone is built differently: short, tall, medium height. 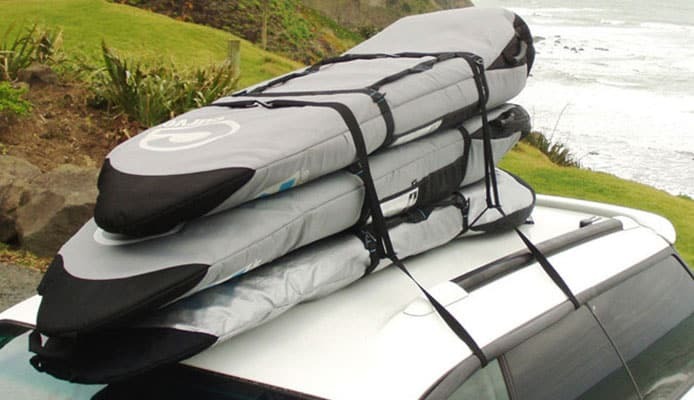 Because of that, there’s no way that there is only one SUP paddle length that is perfect for all types of heights. When ready to adjust your paddle for SUP keep in mind for what activity you’re going to use your paddle. Will it be for recreational purposes, surfing, or for racing? Keep in mind how athletic you are, and what the mass of your board is in and off the water. That might seem like a lot to consider but stick with us for a moment and you’ll see that once you get the hang of it, it’ll be a breeze to adjust your paddle. We’ll go over different methods of adjusting your paddle so that you can get a good idea of the different choices you have. If the primary use is for recreational purposes than you should measure your height and add 9 to 10 inches. Let’s say you are 5’7” than your paddle length should be 6 feet 3 or 4 inches. Now, if you’re more of the athletic type and wants to do SUP racing than it’s best if you go a little longer to help you win. For racing it is recommended that you should get a paddle that is 12 inches taller than the racer. 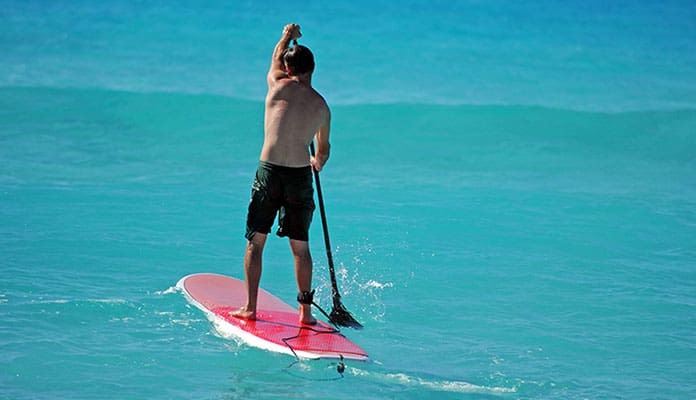 If you’re going to use your paddle primarily for surfing than, in this case you should find a SUP paddle length that’s a little bit shorter so that you can ride those waves without falling in the water nonstop. For surfing it’s best to add 6 to 7 inches to your height. That should be long enough, but not too long. Ok, so let’s say you just hate math and is not into making all these measurements, what to do? No problem, we have other methods you can use to adjust your paddle. You might not know this, but the pioneer of SUP is a guy, a legend, named Laird Hamilton. Through his method, you would need to stand your paddle next to you, then raise your arms. If the handle of your paddle reaches up to the middle of your palm, then that’s the best paddle length to start with. Remember that the length of your paddle can’t be too short, and it also can’t be too long so that you don’t hurt yourself. That’s simple enough, right? For those of you who are into surfing and racing, there’s a method where you can turn your paddle upside down, where the handle is touching the floor. You should then measure the line where the paddle blade is glued to the shaft. If it’s at eye level, you’ll use it for racing and if at chin level you’ll use it for surfing. We also need to take into consideration if you have body injuries. Let’s say you injured your back and now you have a spinal injury where your reach has been shortened. If that’s the case, you’ll need to make sure that your paddle is not too long or else you might injure your back even more. Many times, people get injuries from paddles that are too long, or too short. You must take care that you adjust your paddle according to your body. That will take time, of course. You could start with the Laird Hamilton method of adjusting your paddle 3 to 5 inches then tweak it from there. You must be very careful when adjusting your paddle. Don’t take it lightly even if you are SUPing for recreational purposes. We all want to have fun for as long as possible, so make sure to adjust those paddles well. Remember, don’t just go by what the sales person at the store is telling you. Usually, they just tell you to raise your arms and that’s enough for them. Once you purchase a paddle, make sure to tweak it to your body, and your strength. The good news is that there’s also the adjustable paddles. You don’t have to cut your paddle then glue it back together, you can buy one that you can make it longer or shorter depending on the activity you’re going to take part of. 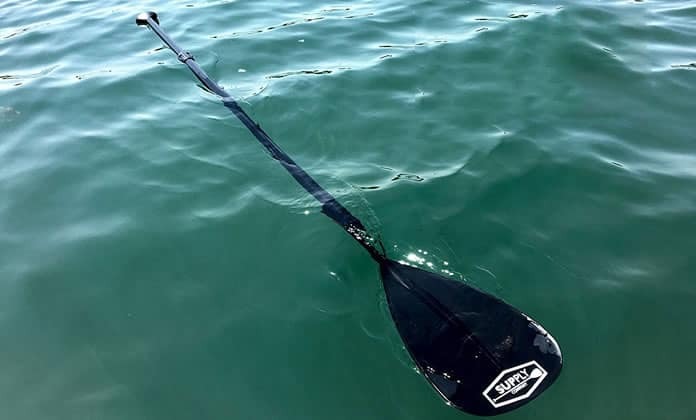 Adjustable paddles tend to be a good choice also for those of you who are just starting with this sport and doesn’t have a lot of cash to invest on more equipment. 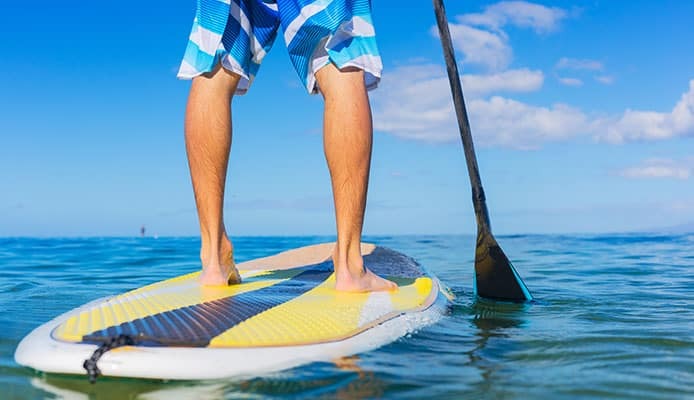 Whether you are tall or short, going on a race or going to catch some waves, you’ll be able to lengthen or shorten that paddle depending on your wish. Here’s a fun way to adjust your paddle; according to Doug Robichaud, marketing coordinator at ISLE surf and SUP, there’s a method called “the Shaka method”. Form a shaka sideways and put it on top of your head, so that the tip of your pinky is where your paddle’s shaft should be. Remember gals and guys, that when adjusting your paddle depending on your activity you should have a good grip on the grip of your paddle. When aiming to get more power in your strokes, your paddle should be used like a lever. Levers have been used by our ancestors for thousands of years, and can you remember the movement of a lever? It’s more of a round motion instead of a straight front to back motion. Many paddlers when paddling use the wrong motion to move forward and back because they are usually just chopping their paddles in the water and making the forward and back motion. Instead, try to paddle in more of a circular motion so that you don’t strain your back and your arms. You’ll see that you won’t tire as fast as before.